Rodrick Michael “Mike” Barber, 72, of Plainville went home to be with the Lord on Sunday, December 2, 2018. Mike was born in West Point, Georgia on August 21, 1946; he was the son of the late Walker and Mary Hamer Barber. In addition to his parents, he was preceded in death by his brother-in-law, Paul Williams. Mike was a graduate of Troup High School, Class of 1964. He graduated from West Georgia College in 1968. Mike went back to West Georgia in 1980 and attained his master’s degree. Mike’s career was with the State of Georgia. He worked first with the Department of Family and Children Services, then at the Rome YDC, and he retired from the Department of Juvenile Justice in 2002. Mike’s goal, professionally and personally, was to make a difference in the lives of young people. He had been active at East Calhoun Community Church for more than forty years. Mike enjoyed travelling – he had been to forty-eight states, and several foreign countries. He was an avid fan of gospel bluegrass music and loved to attend gospel concerts. Mike never met a stranger; wherever he went, he made friends. 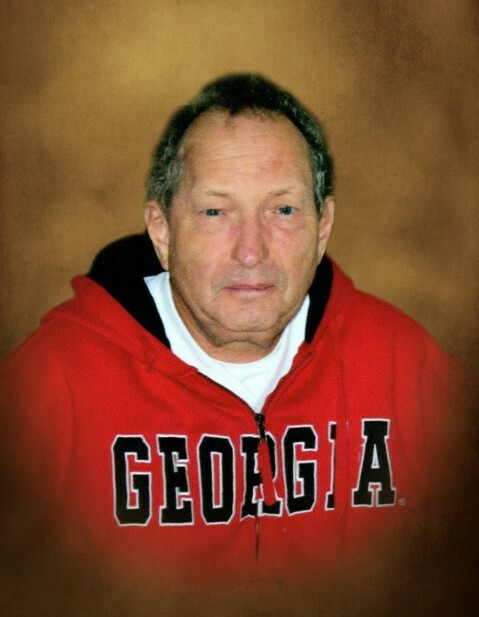 He loved watching Calhoun High School football games and followed the West Georgia College football team. Mike was an avid coin collector. Most of all, Mike will be remembered as a Christian gentleman who was a loving husband, father, and grandfather. Mike is survived by his loving wife of forty-eight years, Linda Garland Barber; his son and daughter-in-law, Eric M. and Ami Barber; his grandchildren, Jack and Addie Barber; his sister, Faye B. Williams; his brother and sister-in-law, John and Trudy Barber; nieces, nephews, and other relatives. The Barber family will receive friends on Tuesday, December 4, 2018 from 4:00 until 7:00 p.m. at Max Brannon and Sons Funeral Home. The funeral service will be conducted on Wednesday, December 5, 2018 at 2:00 p.m. from the chapel of Max Brannon and Sons Funeral Home. Burial will follow the service in the family plot at Scott Cemetery. Pastor Keith Reid will officiate. Pallbearers are Don Garland, Clyde Garland, Jerry Couey, Gary Pass, Lewis Adams, and Jeff Rampy. Friends may sign the online guest register at www.maxbrannonandsons.com. Arrangements are under the care and direction of Max Brannon and Sons Funeral Home.